is an informal group that comes together to watch and operate large scale trains, often outdoors and in garden settings. 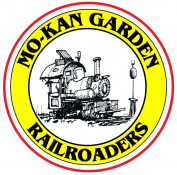 Individuals share the hobby and enjoy garden railroads in various member's backyards. This gathering and potluck was at the B & F Railroad.